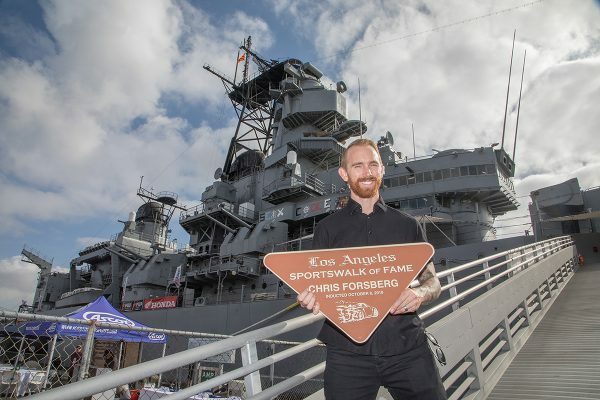 In a ceremony that took place on Monday, October 8, 2018 in front of the Battleship Iowa in the Port of Los Angeles, Chris Forsberg was singled out for his outstanding success in the Formula DRIFT series over the past 15 years. The LA Sportswalk of Fame began in 1978 to honor the men and women who reach the top of their sports. For 2018, Chris Forsberg was among 11 athletes selected for the award. He stood alongside NASCAR, IndyCar and off-road legend, Robby Gordon, as well as 11-time Baja champion, Johnny Campbell. 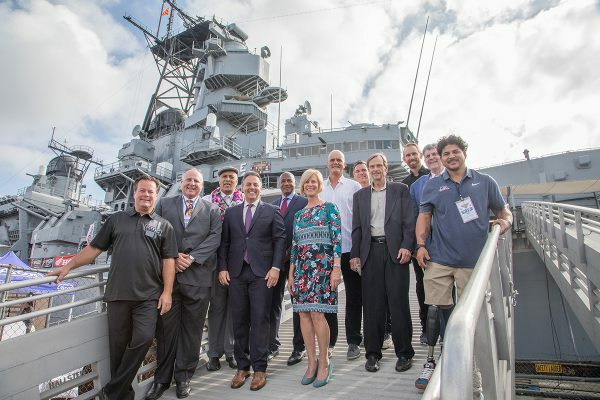 Other notable inductees included football Hall of Fame star Lynn Swann and baseball champion, Mike Scioscia. Chris earned his place by virtue of being the most successful Formula DRIFT driver, with three championship titles earned in 2009, 2014 and 2016. He’s currently the second most successful in terms of round wins, with nine to his name, and has 36 podium places, which is more than any FD driver. Being the only driver to have competed in every round of the series, and one of four to have been in the series since day one, Chris has an amazing record and isn’t about to call it a day – he currently sits fourth in the 2018 FD Pro standings going into the Final Round this weekend. He boasts a round win in Orlando among his impressive 2018 points tally. 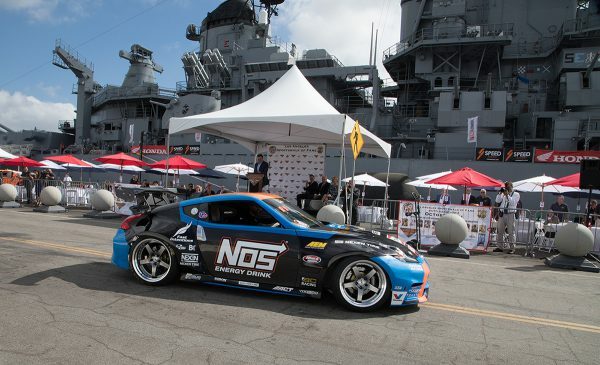 As a true champion, Chris arrived at the ceremony in proper DRIFT style, sliding his NOS Energy Drink Nissan 370Z on Nexen Tires in figure-8s around the dock. He then thanked Chris Agajanian and family for the nomination and briefly recapped his career, acknowledging the support of his wife and the importance of taking kids off the street, helping them to learn car control in a safe environment. He thanked the Agajanian family for recognizing the sport and proudly accepted his award. The Los Angeles Sportswalk Of Fame began in San Pedro, CA as a celebration of local athletes. Originally known as the San Pedro Sportswalk to the Waterfront, the name was changed in 2017 to reflect the growth of the project and its move to the Port of Los Angeles. Each inductee is honored with a bronze plaque and these can be found installed on the sidewalks of downtown San Pedro, centered around 6th Street and Mesa Street. For more information visit lasportswalk.org.